Do You Camp on the Ground or in a Hammock? In the good old days we camped on the ground with a cheery bonfire going. Now things have changed, and we carry the sentiment in the air! You’re going to have a completely new experience with the hammock under-quilt, and you won’t get enough it. The 3 Seasons Under-quilt is ideal for temperatures ranging from 40°F to 68°F and the Winter Under-quilt is ideal for 23°F to 41°F. 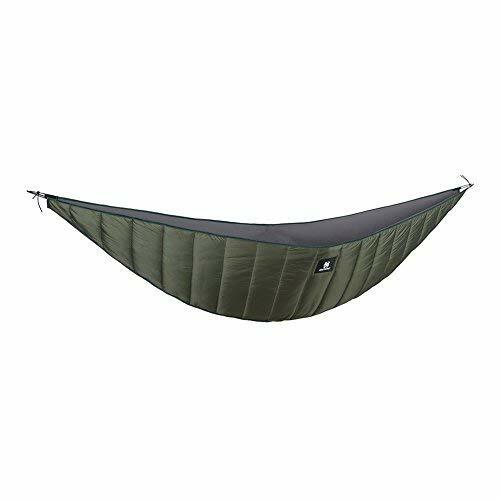 It’s shaped perfectly to fit a hanging hammock, made of high quality materials that shields you from the wind and keeps you warmly cocooned. It’s also lightweight and shrinks to a small size to fit in any rucksack. Keep the cold off your back with this awesome piece of gear.